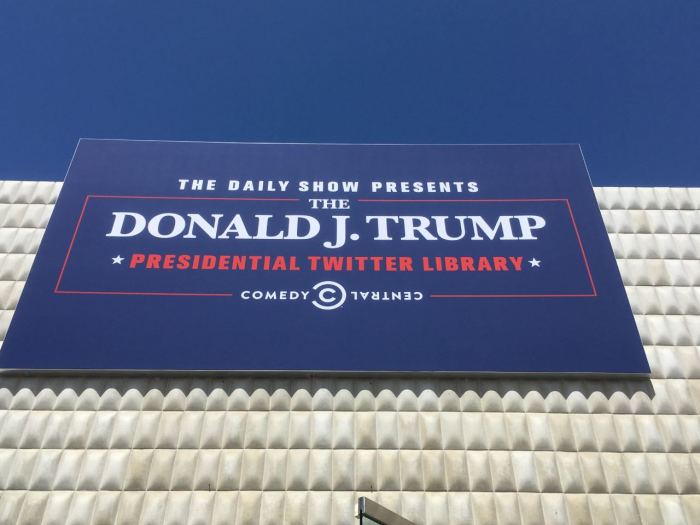 The Daily Show with Trevor Noah unveiled The Donald J. Trump Presidential Twitter Library on Friday June 8th in West Hollywood, California. This marks the fourth time the pop-up library has presented a viewing experience for the public. Previous stops included San Francisco, Chicago, and its original debut in New York City in 2017. 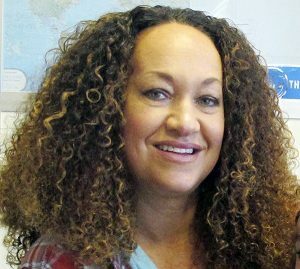 “Every president since Franklin D. Roosevelt has been honored with a meticulously curated memorial library commemorating the documents of historical value,” said a spokesperson from The Daily Show. The Twitter centered library features exhibits derived from President Donald Trump’s social media. The exhibit consists of audio, visual, and hands on interactions for attendees. The “Commander-In-Tweet” marquee attraction allows attendees to step in an Oval Office replica and try to compose a tweet in less than thirty seconds. 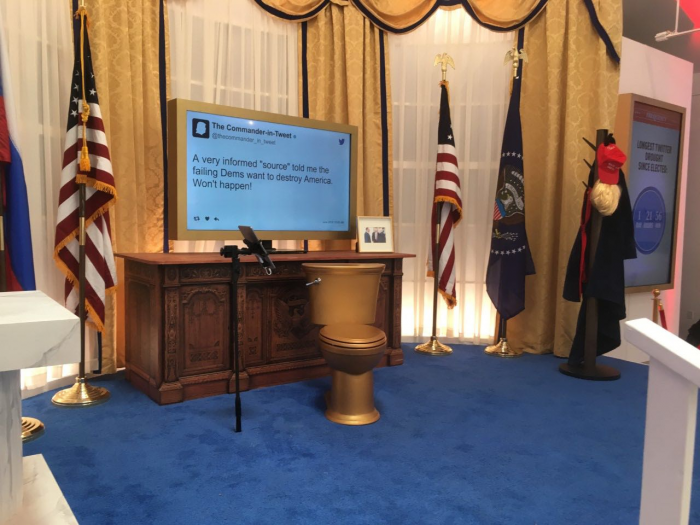 Attendees are given a crisis and must compose the tweet while sitting on a golden toilet. 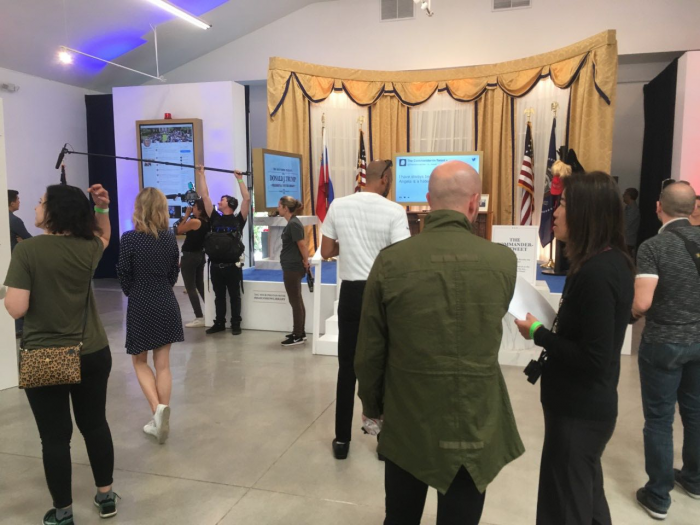 One exhibit displayed a world map highlighting tweets made by Trump. Each country had a flag with Trump’s tweet displayed at the bottom. 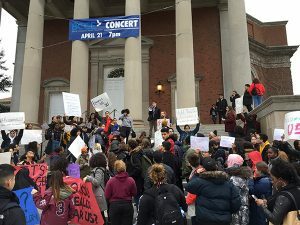 Though Trevor Noah wasn’t at the event, comedian and Daily Show correspondent Roy Wood Jr. discussed the reason behind the pop up. “This library is the most dynamic collection of presidential thoughts that has ever existed in the history of politics,” said Wood. The Donald J Trump Presidential Library is located at 631 N. Robertson Blvd in West Hollywood. The pop up will open again June 15ththrough Sunday June 17th beginning at 10 a.m. through 10 p.m. This is the final weekend to view the library.